June 29, 2018 – We first published this article in July of 2016. With temperatures and the heat index reaching dangerous levels around the world, we thought it was a good time to publish this information again. 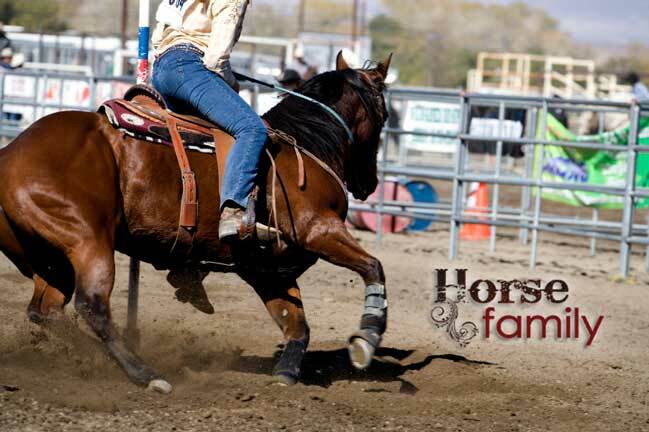 If you have tips, insights and ideas on keeping your horse (and yourself) cool, send us an email or message us via FB and we just might publish your ideas! Summer is a great time for riding but heat & humidity can quickly become an issue for your horse if you’re not careful. Here are some common-sense and practical tips for helping your horse survive the heat. Provide Clean & Fresh Water. 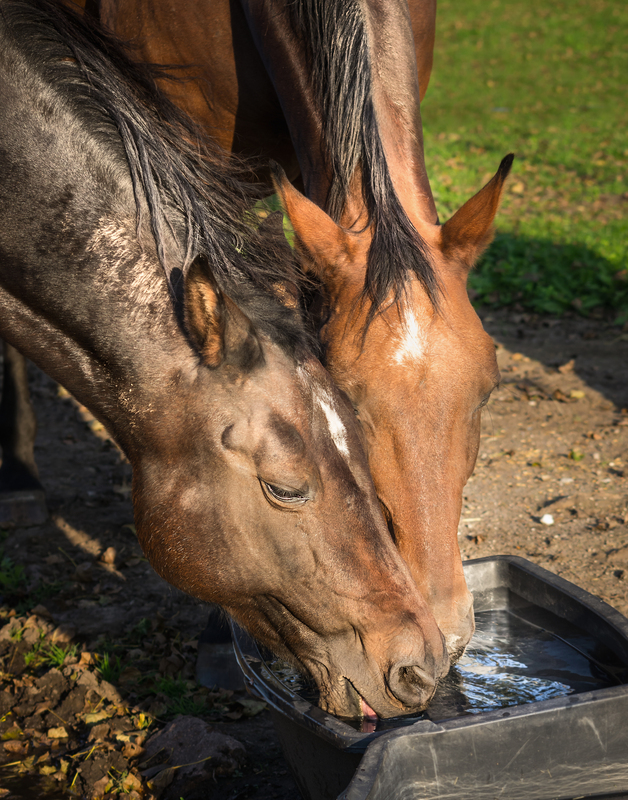 It goes without saying that your horse should always have access to cool, fresh water, especially when the temperatures outside are scorching. Not only is cool water more refreshing for your horse, it can help lower your horses body temperature. On the flip side, warm, stagnant and dirty water is not that appealing to your horse and it can quickly become a breeding ground for insects (think mosquitos in particular), mold and algae. If the water looks dirty, do your horse a favor and dump it replace it with fresh, cool water. Keep buckets, troughs and automatice waterers clean. To avoid mold and algae build-up in your water buckets or troughs, use a stiff bristled brush and scouring pad to remove. A little elbow grease goes a long ways in helping to reduce algae and mold in buckets, especially in the hot summer months when it can build-up quickly. Check those buckets and troughs regularly and frequently and keep them clean. Shade. Providing adequate shade is critical to preventing heat stroke and heat related issues. Whether it be sheds, large trees or covered turnouts, it’s important to provide a shield and protection from the hot rays of the sun. Bring your horse inside if needed and use fans to circulate the air around them. Keep air MOVING. Fans are a great way to keep air circulating in barns and stalls. Not only do fans provide some heat-relief, they can also be helpful in keeping flies and other insects away. Always insure cords are kept safely out of the reach of your horse. Misting systems. If you’re fortunate enough to have a misting system, use it. Misting can help reduce body temperature because as the moisture is absorbed from your horses skin, it will reduce some of the body heat. Studies show frequent misting is more effective than hosing your horse one time, with cool water. If you don’t have a misting system, remember if you’re hosing your horse with cool water, start the water slowly beginning at the feet and gradually work your way up and over the rest of your horses body. Too much cold water, all at once with a very hot horse, can be too much of a shock for the horses body. Slow down your workouts and schedule them during cooler periods of the day. Ease up on those workouts on very hot days. (If missing a day or two of training or having a lighter workout schedule for a few days will totally throw a wrench into your horses performance…perhaps you should take the opportunity to review your entire training protocol. Well trained performance horses don’t become ‘untrained’ in the matter of a few days). Excessive heat can cause serious illness and can be life-threatening for your horse so consider a lighter workout and avoid workouts during the heat of the day. Getting in a light, early morning or late evening workout will still be beneficial and will alleviate the threat of heat stroke or illness. Turnouts. If you typically turn your horse out during the day, consider turning them out early in the morning or late in the evening (or even overnight) to avoid the hot rays of the mid-day sun. Keep an eye on your pasture as hot sun can cause scorch your pastures & grass which might make it necessary for you to supplement with hay. Encourage your horse to drink. It’s especially important that your horse continue drinking and sometimes he/she may need a little encouragement to do that. Consider adding a salt block, misting the hay with salt water or utilize electrolytes. If using electrolytes, always make sure you have another source of water available as not all horses like the taste of electrolyte-laced water. Avoid Sunburn. Using fly scrims/sheets, fly masks and sunscreen can offer additional protection from heat from the sun. Consider body clipping your horse. It’s true that your horses coat can offer protection from the burning rays of the sun but long, heavy coats (which can be common for horses that have metabolic issues) can retain heat longer, making it more difficult for your horse to cool down. And finally, know the signs of heat stroke. Elevated heart rate that doesn’t return to normal in a reasonable period of time. Signs of dehydration include: dry mucous membrane, poor skin trugor or capillary refill (gently pull skin out and see how quickly it returns to normal position. If the skin does not return to normal position, quickly your horse could be dehydrated). If you’re concerned that your horse is suffering from heat stroke, contact your veterinarian immediately. Cindy Corwin is the CEO/Owner of Horse Family Magazine and is specifically interested in giving back to equine communities and bringing families closer together in their love of horses.